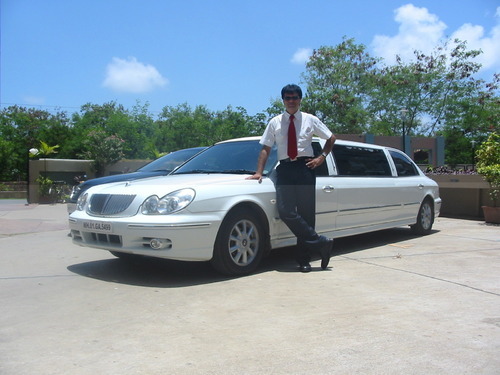 limousines, vanity van, bullet proof vehicles, Recreational vehicles, Aircrafts interiors, buy sell, yachts etc. As India is going through an automobile revolution, welcome to the new era of Parikh Coach Builders in developing the Limousine Industry. We are firmly committed to the total satisfaction of our customers by catering consistently a high quality of products and services. Parikh Coach Builder is managed by young Indian, Mr.Shreyans Parikh and NRI professionals with technical, financial, and marketing expertise with relevant experience in industry for more than a decade. The complete process is designed by our engineers with the assistance of experts from the American coach building industry. These experts have experience of over twenty years in designing and developing various types of cars. All the modification are done in accordance with the manufacturers standards and with the input from the R & D department . A complete attention is given to superb structural and every mechanical detail. The Material used for extension body has superior rust and corrosion resistance, driveshafts matches companies standard for vibration free running. Marketing of this vehicle is done with the assistance of the existing dealers network of Car Manufacturers and also by our own distributors in major cities of India. We have a marketing office and regional center in United States of America too. Any car can be stretched, Bulletproofed. We can redesign any type of car.We can provide Royal interiors for any car. We have extended our horizons to executive travel industry with customizing yachts and business Jet Aircrafts. We assist in acquision, leasing, custom design interiors for the same including Aircraft Management and MRO. What makes PCB stand out among rest in the industry? Customer Satisfaction during the process and after the closing.